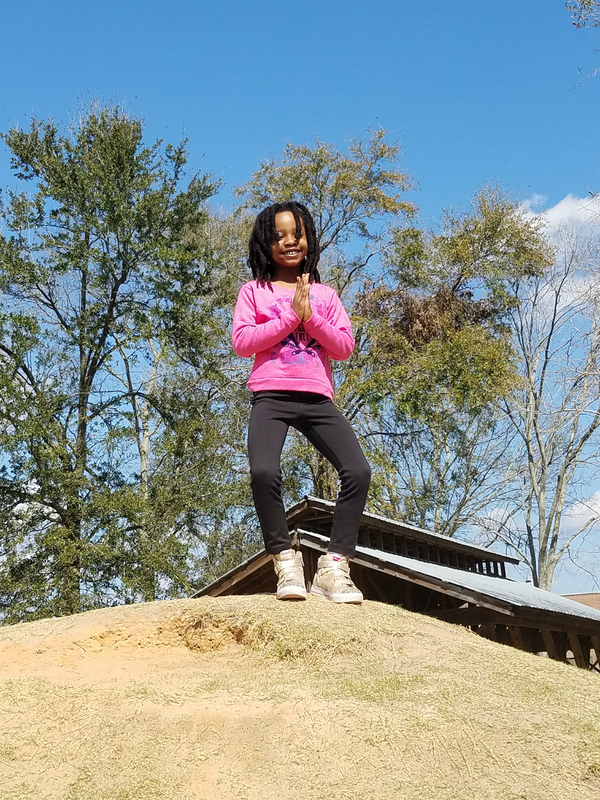 Since moving to Atlanta, we've vowed to do more road trips as we are surrounded by great short distance travel destinations. A few weeks ago we took a weekend trip to the coastal town of Savannah, Georgia. It's a three hour drive from Atlanta and makes a great getaway destination. 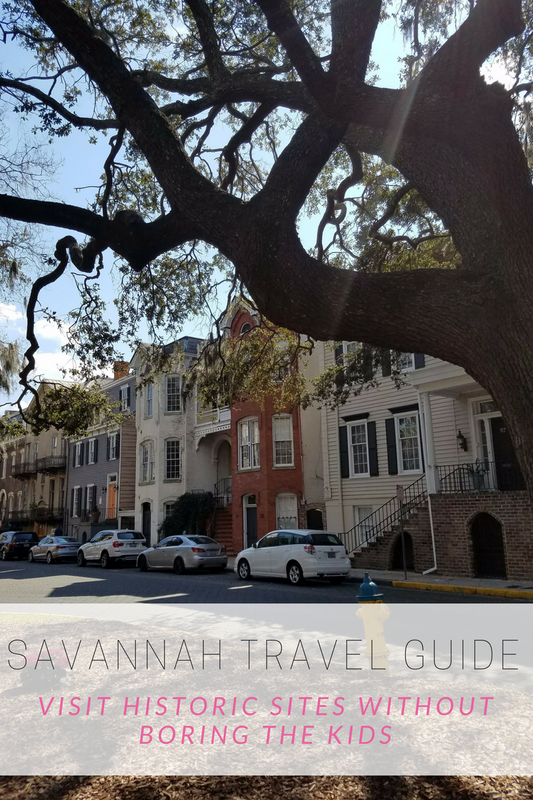 Savannah is known for picturesque antebellum architecture, cobblestone streets and large oak trees covered with Spanish moss. It's a gorgeous city filled with history which may not be a kid's version of a good time but you can sneak it in between kid-friendly activities that are both fun and educational. Ride the Savannah Bells Ferry for a short and FREE ride between Savannah and Hutchinson Island. There's not much on Hutchinson Island beyond the Convention Center and Westin Hotel's amenities but the ride is scenic and fun for kids. We stayed at the Westin so the ferry ride was a must. Take a walking tour and gain an American history lesson of the antebellum slavery period in Savannah, Georgia with Journey By Faith. 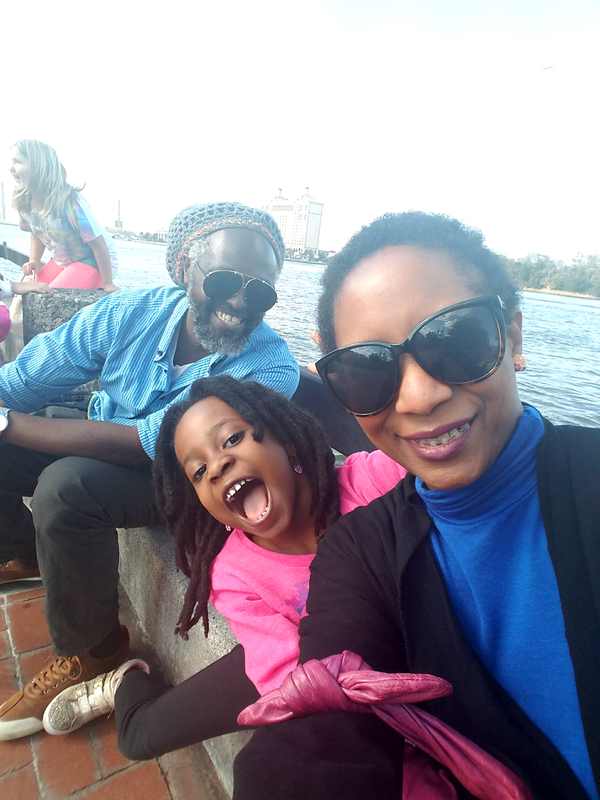 The tour trails the port of entry for Africans, buildings used as slave marts, and provides historical details about wealthy african american bankers and brokers in Savannah. Visit all of Savannah's top points of interest at a leisurely pace with an Old Town Trolley tour. I highly recommend if you are traveling with children. Those little feet get tired. You can hop on and off to see, look and do. Violet blissing out a the Children's Museum. Keep the kids happy with a trip to Savannah Children's museum at Tricentennial Park. This is also the location of the Georgia State Railroad museum and Old Fort Jackson. All kid friendly entertainment. Do some thrift shopping. 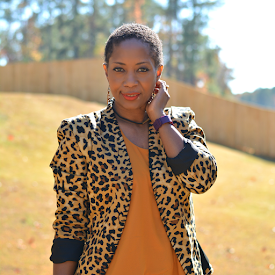 Civvies New & Recycled Clothing makes a fun little excursion for the thriftanista in the family. 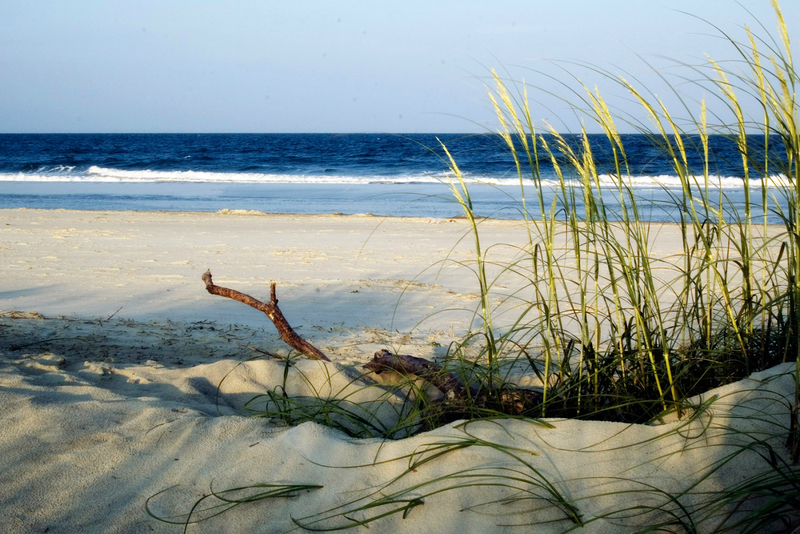 Take a day trip to Tybee Island. It's 18 miles away from Savannah and only takes thirty minutes to get there. Have breakfast at The Breakfast Club. Do not. I repeat. DO NOT go inside and wait. The line is outside and they will not be gentle with you if you walk in for a table. The food is hearty and good though. Spend some time enjoying beach life of sand, sun, and water activities. Have a seafood lunch on the beach and feed the gators at The Crab Shack then head back to Savannah. Play chess, listen to live music or just sit back and people watch in Ellis Square. Enjoy a honey and a honey wine tasting at Savannah Bee Company. If you're a coffee connoisseur, you must pop in to Blends Coffee Boutique for hand crafted, in-house roasted coffee from around the world. View fresh and contemporary art collections and exhibitions at SCAD Museum of Art. No trip is complete until you've indulged in a decadent dessert or three. 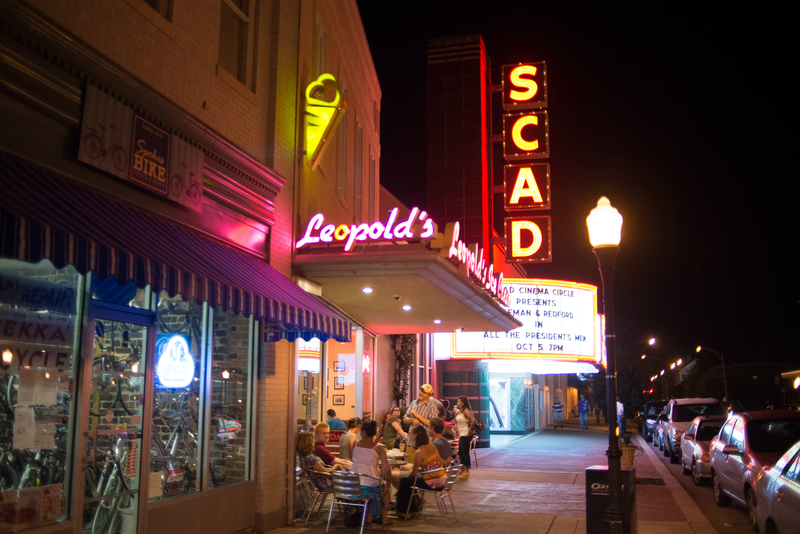 Leopold's award winning homemade ice cream remains unchanged since 1919 and they have a vast menu of cones, splits, sundaes, shakes, and old fashioned sodas.